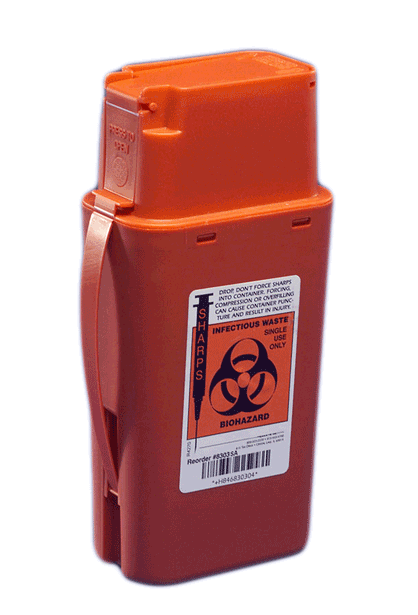 Transportable Sharps Disposal Containers BUY Portable Sharps Container, Kendall Sharp Safety Transportable Containers, Sharps Container , 8303SA, 8909, Sharps Disposal. 1 Quart Red: 8.75 in. x 2.5 in. x 4.5 in. 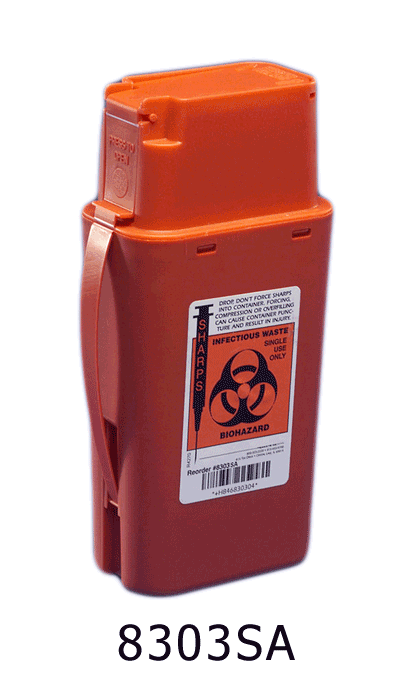 Transportable Sharps Disposal Containers are conveniently sized for easy transport. 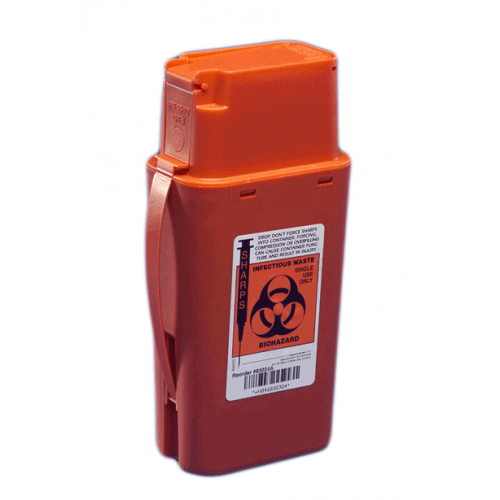 Both sizes accommodates small syringes, blood needle holders and other sharps waste. 1 quart container offers one-handed operation which opens and closes the container and fits in most carry bags. 1.5 quart container features square base for added stability and a leak-resistant screw cap. Simple, one-handed operation opens and closes the safety lid. Convenient small size fits into carry bags. Temporary closure for security between uses. Lids lock for safe transport and disposal. very pleased. item was just as advertised.